No. Bloomlife is completely non-invasive and measures uterine activity with electrophysiology. Most moms like to have Bloomlife in their 3rd trimester but you can start it whenever you want! Can Bloomlife detect Braxton Hicks contractions? Yes, Bloomlife detects all uterine activity including Braxton Hicks. Yes. Bloomlife does not use ultrasound to track contractions. It is completely passive and safe for continuous use. Is Bloomlife covered by insurance? Bloomlife is not covered by insurance, however Bloomlife is FSA/HSA qualified. Please contact us (support@bloomlife.com) for an itemized receipt to submit. How often should I wear Bloomlife? While you can wear Bloomlife as often as you like, most moms like wearing Bloomlife for an hour or two every evening when relaxing. Will Bloomlife work with twins? Yes! Bloomlife works just as well with twins as it does for singletons. The box contains everything you will need to get started: Bloomlife sensor, patches, sensor charging cord, and a quick guide. Will Bloomlife work with heavy moms? Yes, Bloomlife has been tested with moms of various size and weight and shown to accurately detect contractions. Do I need to pay for more patches? No, if you run low on patches more will be shipped to you for the length of your rental at no additional cost. 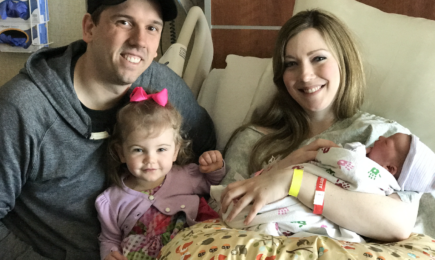 Bloomlife is not a medical device and is not intended for diagnostic purposes, including not intended to detect preterm labor or prevent preterm birth. Ongoing research with Bloomlife aims to validate our ability to differentiate different types of contractions (Braxton Hicks vs non-Braxton Hicks) with the end goal in the future of earlier identifying labor onset. This feature is not yet available in commercial use. Please contact us to learn more or inquire about research opportunities. Home uterine activity monitoring devices are medical devices and provide independent information from Bloomlife products. If you have questions about home uterine activity monitoring, please contact your doctor. Bloomlife is not a medical device. Bloomlife is not FDA cleared and does not replace medical devices or a medical professional care. We intend to submit for FDA clearance in the future with new features for improving maternal care. Bloomlife does not diagnose labor. We provide an automated and accurate way of measuring and timing contractions. 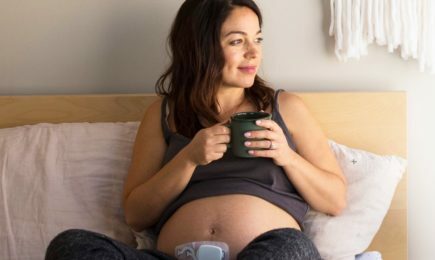 Bloomlife helps moms understand what contractions feel like to her and determine if her contractions are getting more regular and increasing in frequency and duration. Bloomlife is not a substitute for a clinical examination to diagnose labor. We understand babies are on their own timeline. If your baby is born before your due date simply return Bloomlife within one week of your baby's birth day and we will refund to that date. Notify us and you will receive a full refund and a congratulations. How do I return Bloomlife after my baby is born? Returning Bloomlife is easy. Simply put the sensor in the box it came in, apply the prepaid postage, and put in the mail. We know that life is hectic after a new baby arrives so we will even refund up to one week from your baby's birth date. What happens if I am unhappy with Bloomlife? You can return Bloomlife at anytime to end your subscription. Simply request a return label from the app and place Bloomlife in your mailbox. What if I lose my Bloomlife sensor? If a sensor is lost or damaged Bloomlife reserves the right to charge a portion of the total sensor cost to the user up to $500. In the event a lost sensor is found and returned undamaged, we will refund any lost sensor fee. Can Bloomlife be submitted to my FSA/HSA? Bloomlife is FSA qualified and can be submitted for reimbursement within the category "home medical equipment". How do I order more patches? Patch refills are included at no additional cost with your rental. Additional patches can be ordered at anytime either through the Bloomlife app. Patches are shipped out the next business day. How long does it take to receive ? Bloomlife arrives on the start date you select at checkout, but the fastest we can get it to you is 5 business days. Is there a rush delivery option? We do not have a rush delivery option, but we are working to make this option available. Is Bloomlife a medical device? No. Bloomlife is not a medical device. Bloomlife is intended to be a health and wellness device and not a substitute for medical attention. Will the patch cause a rash? In ~1% of the population the Bloomlife patch may cause a rash. If you are allergic to BandAids you may not be able to use Bloomlife. No. Bloomlife uses a gentle medical grade hypoallergenic silicone adhesive. The adhesive is so gentle, studies have shown it can be used everyday throughout your entire pregnancy without issue. The battery lasts 7 days between charges. Can I track my baby’s heart rate? 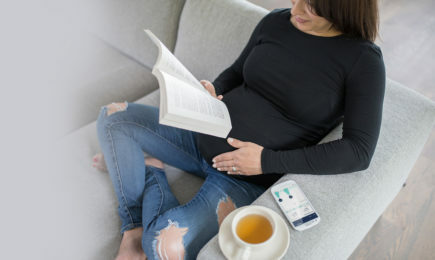 No, Bloomlife does not yet support fetal heart rate tracking.